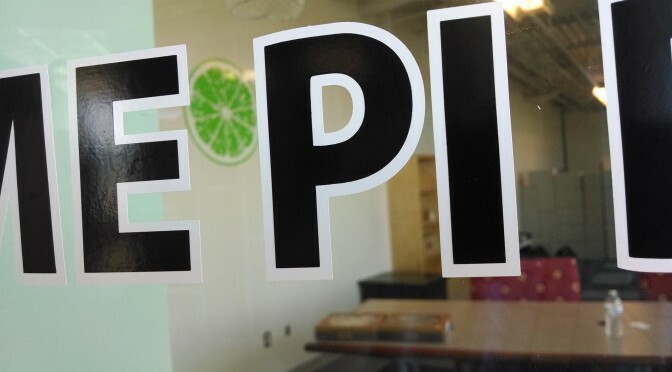 When National Pi Day arrived, Lime Pi Digital celebrated by hosting a special event at The Blind Tiger in Bay St Louis, Mississippi. Coastal 90 was there and ran into some of our friends at Lime Pi Digital to talk about their event. Their anticipation was exciting! They rejuvenated in us a hope of enjoying Pi Day for all mankind. They showed us the best thing about Pi Day is celebrating with friends and enjoying some nice drinks and food in honor of 3.14 Day! On Friday, March 14th at 1:59 PM they sponsored an amazing party at The Blind Tiger and all were invited to attend. There were food specials and lots of fun! If anyone knows about The Blind Tiger in Bay St Louis, they have been a big part of revitalizing the Old Town Beach Front in Downtown Bay St Louis. The Blind Tiger hosted this amazing event on March 14, 2014 at 119 N. Beach Blvd. Bay St Louis, Mississippi 39520 at 1:59 PM celebrating Pi Day. Cheers! Previous PostThe Mississippi Gulf Coast Thrives in the FallNext PostSnapping Turtles like to hang out on the beach too!